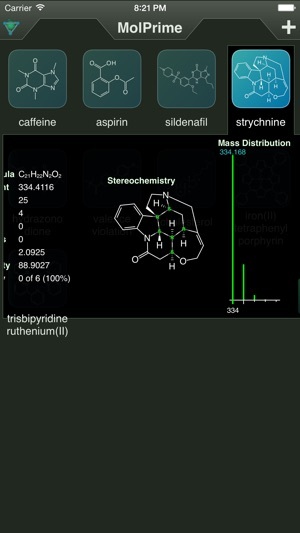 MolPrime+ is a chemical structure drawing tool based on the unique sketcher from the Mobile Molecular DataSheet (MMDS). Upgraded to latest iOS version. 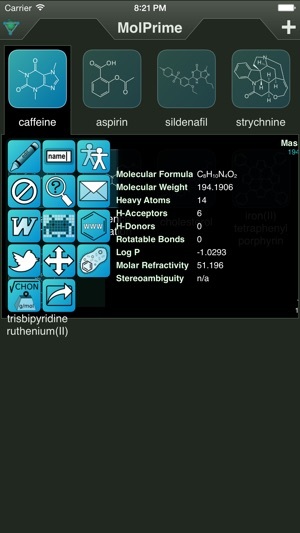 No other Molecular Chem apps in iOS as productive and easy. 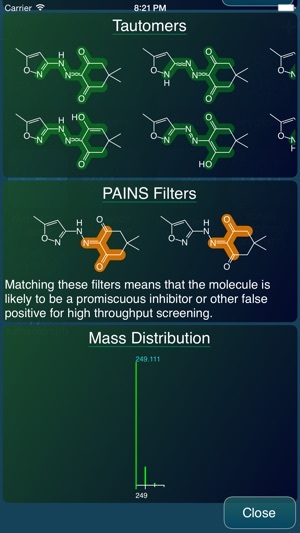 The applications from Molecular Materials are very productive for creating the input required for efficient internet-oriented SAR calculations and searches for pharmacological properties. If expect to do this only every other month, I strongly suggest you get the host of applications. 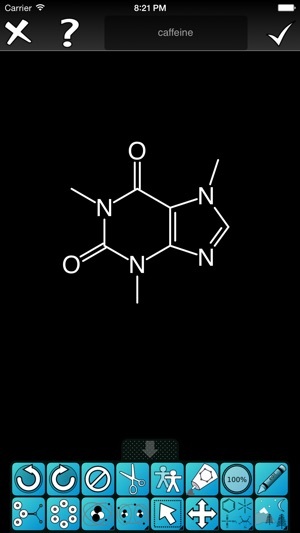 I've used Marvin and ChemDraw on computers extensively and was able to pick up on how this works pretty quick. Very helpful. 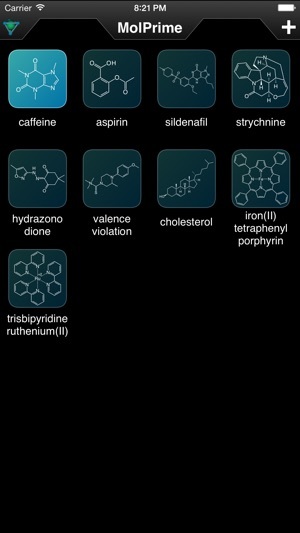 This app is highly useful for synthetic chemist. Very easy to use and free. there is some minor issue but It is no problem now..
© (c) 2012-2018 Molecular Materials Informatics, Inc.